Creeping around metallic pipes, intertwining vines sprawl toward the sunlight seeping through a skylight window inside a large factory building located in Chicago’s Back of the Yards. “The plants look like they’re reaching for the sun,” a girl said. “Aren’t we all reaching for the sun?” another girl answered. Northwestern University Real Food, a club dedicated to shifting the university’s food system to becoming more socially and environmentally sustainable, visited The Plant on November 10. A former meat packing facility repurposed into a collaborative community of food businesses, The Plant houses a variety of spaces that strive to change the way the city of Chicago thinks about food and the environment. 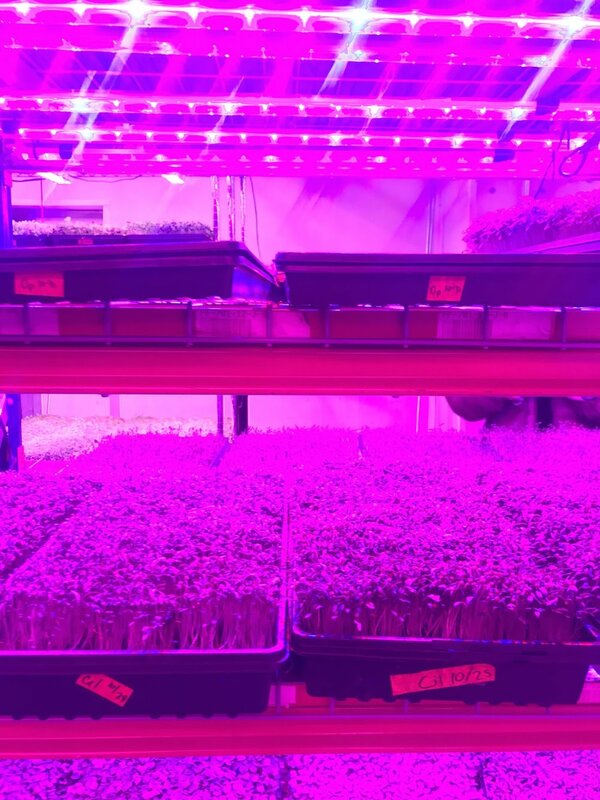 From an aquaponics farm (a system combines aquaculture, the farming of aquatic animals and plants) and hydroponics (a method of growing plants in a mineral-rich water solvent) to a museum, the space has the goal of cultivating local circular economies and building, teaching and revitalizing urban communities. In circular economies, “conventional waste streams from one process are repurposed as inputs for another, creating a circular, closed-loop model of material reuse,” according to their website. A variety of sustainable businesses take part in this circular economy at The Plant, from a vegan chocolate company to a bakery to a vegan ice cream shop. Weinberg senior Dakota Baker said the experience prompted her to reflect on the environmental practices of her routine actions, specifically those relating to food. “I feel like I should think about the food I consume and where it’s coming from and the environmental impacts it has,” Baker said. “There’s no composting, no donation of excess food, let alone do we know where the school is sourced from,” Baker said. After visiting The Plant and seeing the power of sustainable practices, she feels mobilized to express her concerns to those power of making changes.